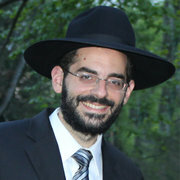 Rabbi Tzvi Thaler is a maggid shiur in the Yeshiva Ateres Shmuel of Waterbury. He gives a daily Mishnah Berura shiur for the Waterbury, Connecticut contingent of Dirshu. His shiurim are known for thier clear and concise review of the daf and are attended by both balebatim and bochrim in the Waterbury Yeshiva.